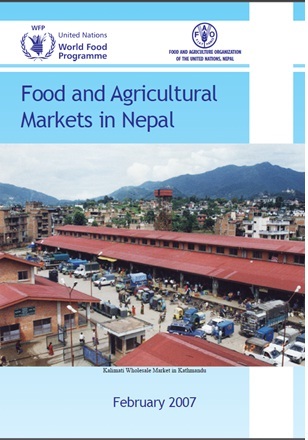 WFP and FAO Country Offices in Nepal jointly commissioned this study on food and agricultural markets (FAMS) to develop an agricultural market profile based on study of market dynamics within the context of a long-standing conflict in order to contribute to the decision making in case of emergency. The study was prepared, relying heavily on secondary data sources complimented by primary information collected through different market sizes in different regions and key informants such as traders, millers and government district officers. The final report focuses on food grain markets, as food grains constitute a major component of food consumption and thus food security in Nepal. However, the field survey covered also other food items such as livestock and vegetables and fruits. Specific findings on these non-food grain agricultural markets are annexed to the report. The rest of the executive summary highlights key issues related to food markets and food security and recommended actions.